SUVs, or Status Utility Vehicles as I like to call them have evolved quite a bit since they first came out. Gone are the days when bragging rights meant approach angles and wading depths; today it's all about how many heads they turn. All-wheel drive and ground clearance aren't half as important as big wheels and flashy LEDs. It's common knowledge that very few owners are willing to take their expensive luxury SUVs off-road. Mercedes-Benz understands the Indian customer well which is why their admittedly handsome GLA-Class comes only with front-wheel drive. Conversely, when Audi came out with the Q3 the big selling point was that it was not some cut price compact SUV but came with the full list of expected features including all-wheel drive and a 7-speed dual clutch automatic. The question is, does the GLA's combination of lots of show and reasonable go make it a better choice than the, a vehicle we have always been thoroughly impressed by? If you go solely by looks then it most certainly does. The Q3 is still a smart looking machine but the GLA brings a new level of flair to the segment. It has the right ingredients of the handsome A-Class but with a more muscular, raised stance. The long bonnet ends in an aggressive face whose DRL infused headlamps and big grille will repeatedly catch your attention. The side profile is long and low, much more car like than SUV, while the rear has a small windscreen, big tail lamps and a double exhaust, all adding to the drama. 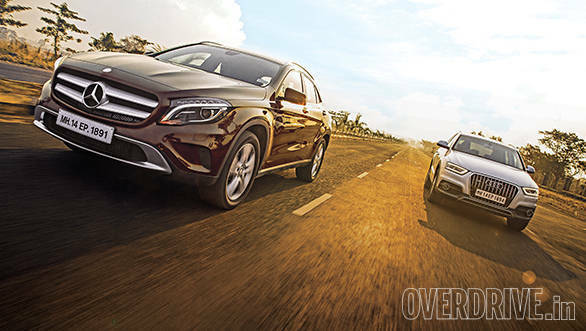 The 18-inch wheels coupled with that low roof give the GLA a very athletic appearance. Step inside and you won't be disappointed. 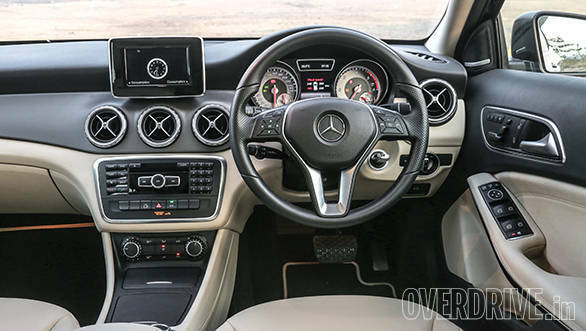 The typical Mercedes MFA platform interior never grows tiring with its pretty aircraft style vents and layered dash although the tiny tablet like display is too small and feels low rent. The car we have on shoot is the top GLA Sport 200 CDI which gets added interior trim details and a twelve speaker Harman Kardon sound system. The GLA is actually a little longer than the Q3 but it still has the more cramped cabin with slightly less rear knee and headroom. 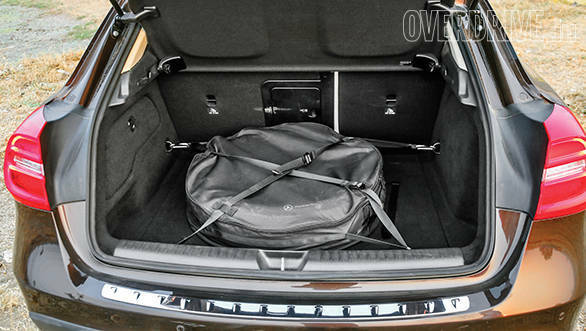 The boot is similar in size but while the Audi hides away its space saver spare cleanly, the Merc's lies strapped to the boot floor which eats into space. The Q3 while still a good looking machine is quite the common sight these days. 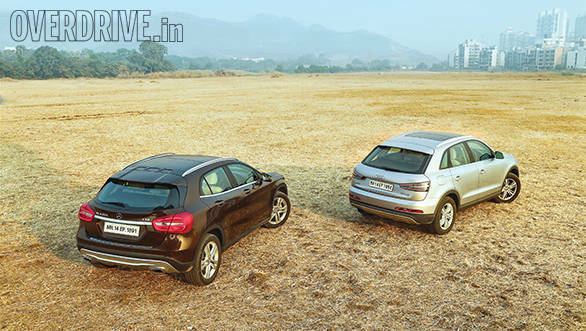 It may look larger than the GLA, primarily because it is considerably taller, but park it next to a Fortuner or even a CR-V and it suddenly appears quite compact. 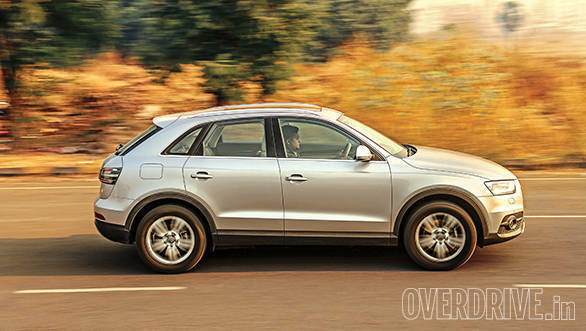 The Q3 Premium Plus 35 TDI we have comes with slight tweaks to the wheels and bumpers but it still looks very familiar. Oh and those new clear lens tail lamps look like aftermarket knock-offs. Bring back the old ones Audi! 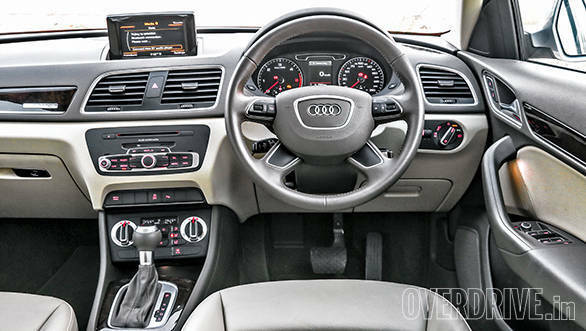 While the Merc's cabin looks youthful and exuberant the Audi's has a more mature and classy looking layout with plenty of beige and a much better screen that can be folded away for a clean and uncluttered look. 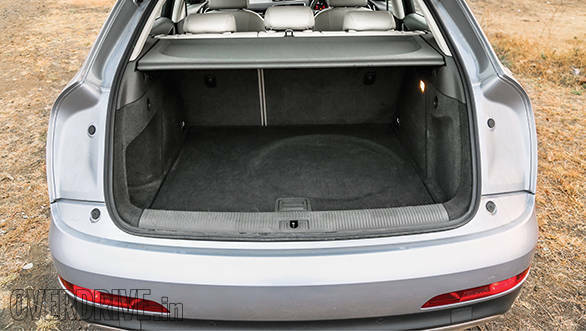 The Merc is longer but the Audi has a wider footprint leading to a sense of more space. Where the Merc gets twin sunroofs the Audi gets one huge panoramic sunroof. The issue is that the cloth blind isn't thick enough and causes the cabin to heat up quite a bit. The AC can handle it but has to run more than it would need to without the sunroof. Strangely the Audi also comes with manual adjustability for the day/night rear view and doesn't get a reverse camera. Also, neither the Q3 nor the GLA offer keyless entry and go. We have a Hyundai in our garage that offers all three and costs six times less. 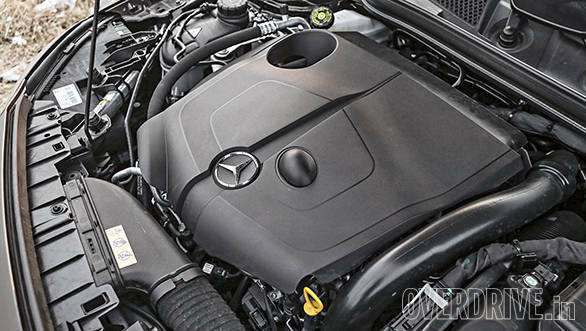 The GLA 200 CDI gets a mid spec version of the prolific 2.2-litre diesel engine that produces 136PS and 300Nm. It sounds a bit clattery at idle but smoothes out as you move along. A 7-speed twin clutch gearbox sends power to the front wheels. 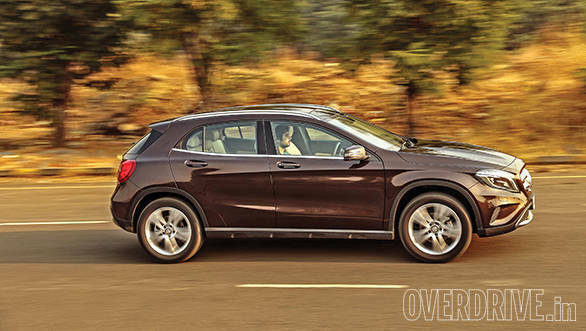 Launch it hard and the GLA shoots off the line with a hint of torque steer. 0-100kmph comes up in 9.3 seconds while top speed is 208kmph. Unlike the Q3, the GLA comes with a steering mounted gear selector with no option of manual changes which is why it gets paddle shifters. The gearbox works well with this engine but is still slightly slow on full bore upshifts. The lower power and front wheel drive give it a small advantage of being 0.5kmpl more efficient. The GLA is quick enough but the Q3 is considerably faster. The 2.0-litre diesel makes considerably more power and torque (177PS and 380Nm) but the all-wheel drive allows it to launch much better, taking just 8.1 seconds to hit 100kmph before comfortably crossing the 200kmph mark. But the Audi engine isn't all about power, it's also much smoother than the Merc's and you hear much less of it, both from the outside and in. The 7-speed S-Tronic dual clutch is also more responsive and faster shifting. 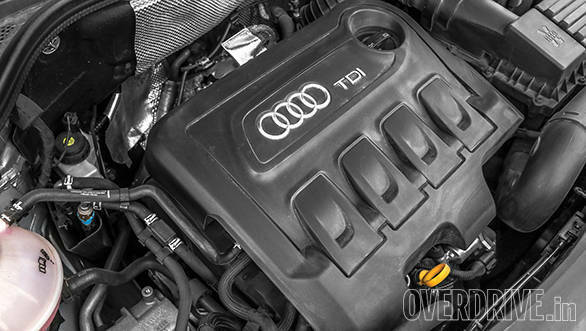 Given the power and performance, the Q3's overall figure of 12.3kmpl is quite respectable. The Premium Plus gets a simplified version of Audi's Drive Select that lets you choose between Comfort or Dynamic mode or allow the car to decide by selecting Auto mode. Basically this tweaks the throttle response and steering weight. The GLA also has a similar system but it only affects throttle mapping. However, the GLA also offers a stop-start system. The GLA turned out to be quite an entertaining drive. A large part of that is down to the steering which is quick, direct and much nicer than the Audi's vague system. The Merc changes direction quickly and doesn't display much body roll or understeer which makes it good fun on a winding road. Of all the MFA cars in India, it offers the best balance between ride and handling. In comparison with the Q3, ride quality is good for most parts but it does feel a bit stiff over broken sections and doesn't absorb bumps as well. The Q3 with its smaller 17-inch wheels rides very well, even over bad surfaces but the suspension does tend to clatter a bit over the bad stuff, something we've noticed in every Q3 we have driven since the car was launched. Quattro ensures tenacious grip no matter the condition and the Q3 is quite the entertaining handler once you get used to the numb steering. AWD also ensures that the Q3 is quite capable off road. The GLA can tackle some off-roading thanks to its 183mm of ground clearance but it will eventually give in because there's no power going to the rear wheels. We've driven the Q3 through the Himalayas twice now and know for a fact that it can handle a fair amount. By now you will be able to tell that the Q3 offers a little bit more than the GLA in most categories. A little more comfort, a little more performance and a little more capability. The GLA's stylish design will no doubt attract buyers who want that out of their SUV. But if you analyse both vehicles thoroughly you will find that the Q3 is a more comprehensive package for the money. The GLA would be quite tempting if it cost a little bit less. But it doesn't. In fact, the GLA we have here costs Rs 47.9 lakh on road in Mumbai while the Q3 is Rs 1.1 lakh cheaper. And that's the end of that.